Radiology patient payment balances have tripled in the last few years and are a critical source of revenue for radiology groups. And because radiology patient billing challenges are unique, we offer more than a generic billing solution. Since most patients rarely meet their radiologist, they often are unaware that there is a separate charge for this service. PatientPay works with your central billing office or RCM company to provide bills that clearly state what a patient owes and why. Patients who understand their charges pay more quickly and won't burden your staff with unnecessary communication. A simple and effective bill allows patients to understand what insurance has, or hasn't paid. It may seem simple, but designing a simple radiology bill takes expertise and experience--just what PatientPay offers. Patients of all ages and demographics are now comfortable providing email address and mobile phone number to healthcare providers. By having direct, timely access to patients--you can deliver a bill that will be seen and acted on. PatientPay finds 75% to 90% of phone numbers provided to medical groups are for mobile phones. Flexible payment options meet internal guidelines and use data analytics to determine a patient's ability to pay--making for smarter payment plans that patients are more likely to comply with. The patient experience extends long after they leave the facility. 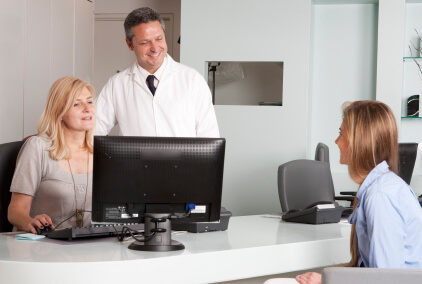 Patients are given the opportunity to understand their bill more fully with PatientPay. Bills clearly state what they owe and why which helps to boost patient satisfaction scores. The patient-provider relationship in radiology is different than in many other specialties. Reduce your call volume, mailing, processing and reconcilation costs.